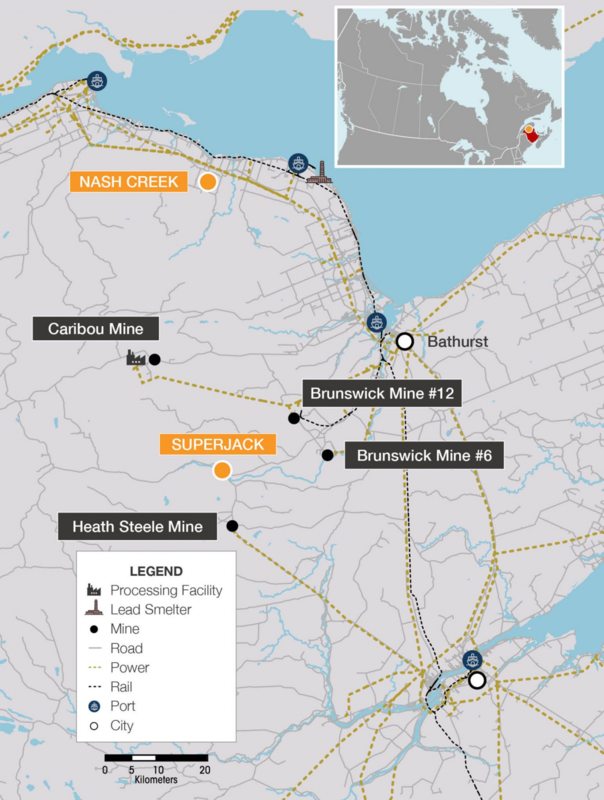 Callinex Intersects Extensive Near-Surface Zinc Mineralization at Nash Creek in New Brunswick - Callinex Mines Inc.
Plans to delineate the extent of the Nash Creek Deposit along strike in both directions along a 3 km long zinc-lead soil anomaly, of which only the southern 2 km has been drilled. 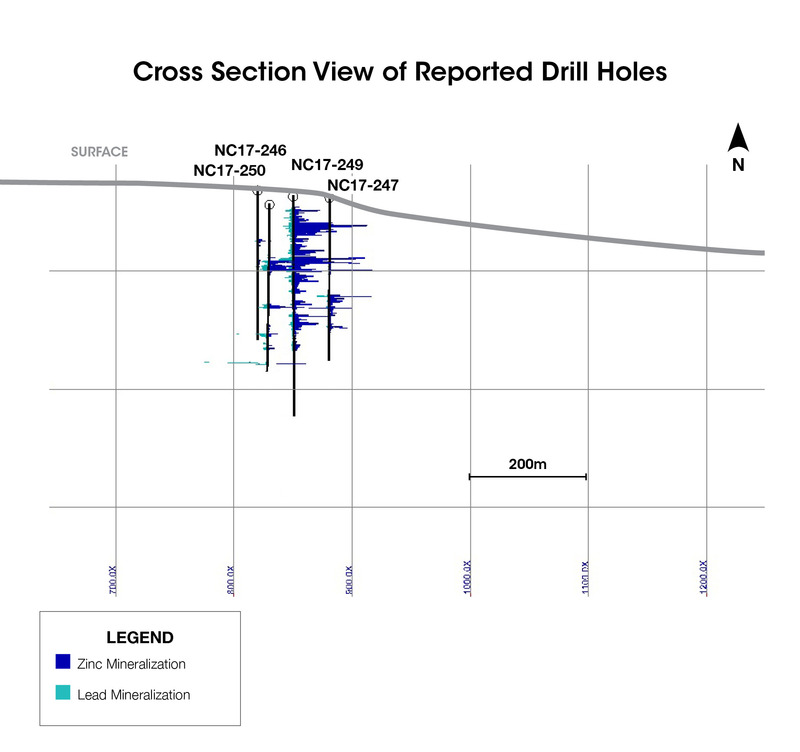 Vancouver, British Columbia – January 22, 2018 – Callinex Mines Inc. (the “Company” or “Callinex”) (TSX-V: CNX; OTCQX: CLLXF) is pleased to announce assay results from four drill holes as part of the recently completed 35 drill hole campaign at the Company’s 100% owned Nash Creek Deposit located within the Bathurst Mining District of New Brunswick (See Figures 1, 2 and 3). 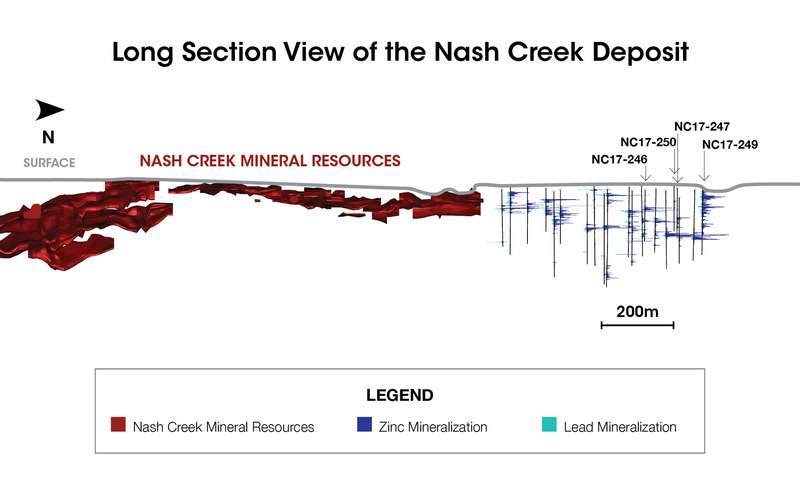 Three of these four drill holes expanded the Nash Creek Deposit to the northwest of recently reported drill holes NC17-248, NC17-255, NC17-257 and NC17-269 (See News Release dated January 18, 2018). 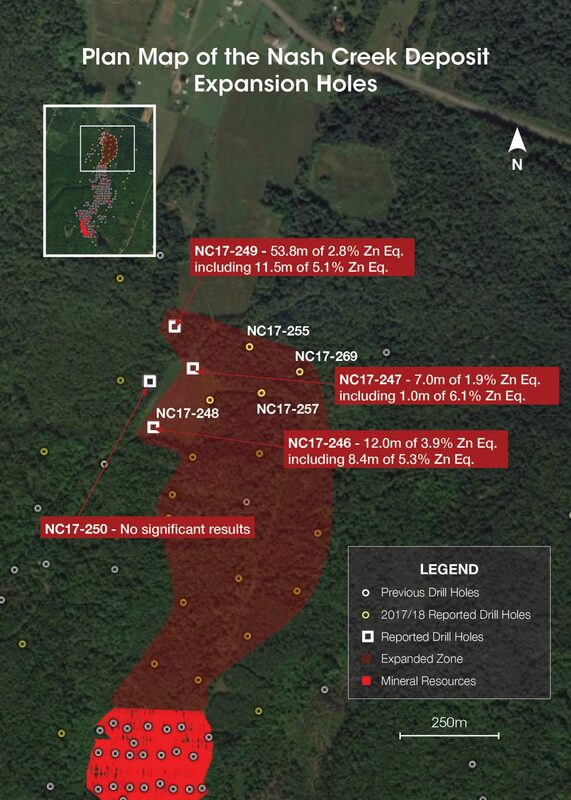 Drill Hole NC-249, the northernmost hole, intersected extensive mineralization including 53.8m of 2.8% Zn Eq. starting at a depth of 18.5m including two separate higher-grade intervals of 11.5m of 5.1% Zn Eq. and 10.7m of 4.0% Zn Eq. within 60m of surface (See Figures 4 and 5). 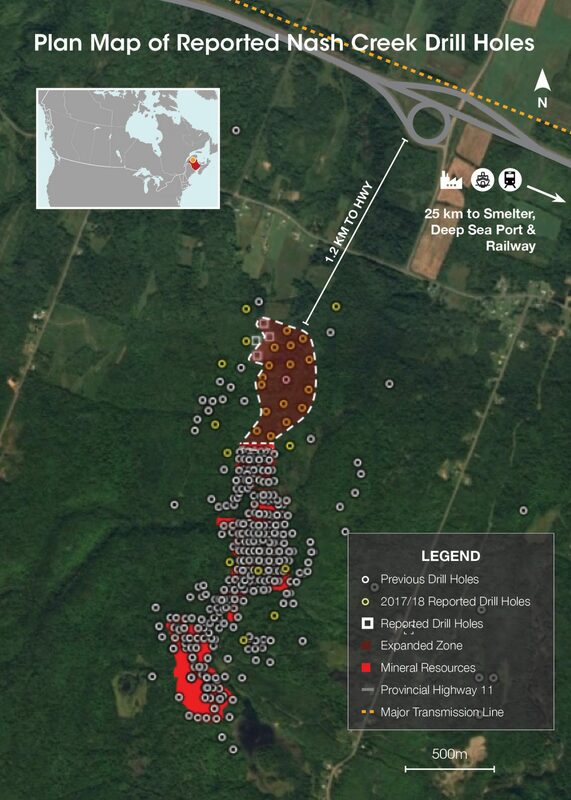 These drill holes have expanded the lateral extent of the northernmost area of the Nash Creek Deposit up to 260m (See Figure 2 and 3). Hole NC17-249 intersected 53.8m of 2.8% Zn Eq. including 11.5m of 5.1% Zn Eq. at a starting depth of 18.5m including 11.5m of 5.1% Zn Eq. and 10.7m of 4.0% Zn Eq.